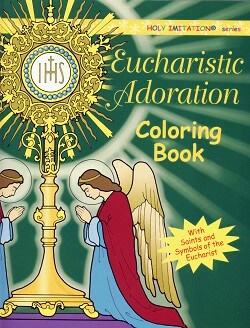 Catholic coloring books are the backbone of most Catholic homeschool curriculum during the first years. 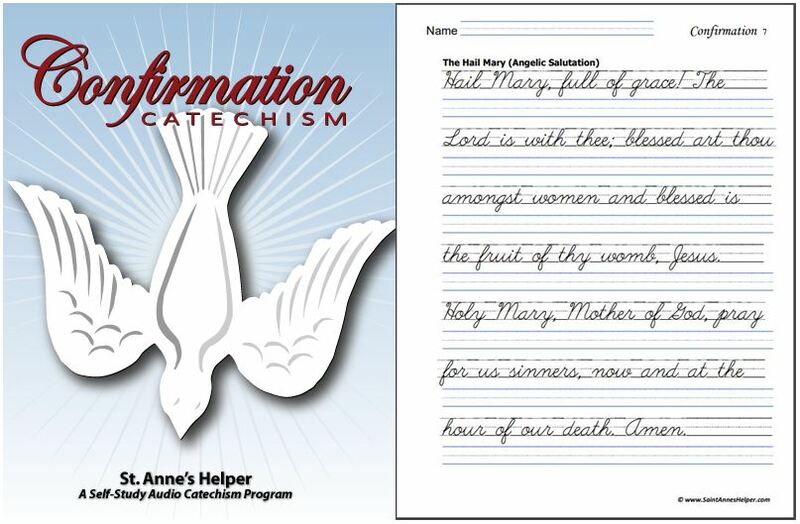 Most Catholic homeschool programs use coloring books in their programs for Kindergarten, first grade, and second grade. They also make wonderful First Communion and Christmas gift ideas. I remember the first time I received a box full of Kindergarten homeschool books. It was half filled with coloring books. What a delight to the children! Me, too. 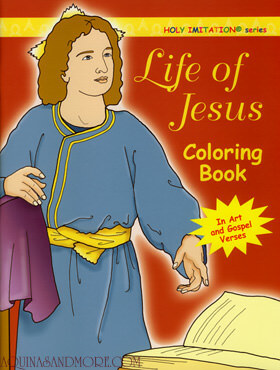 The coloring books were actually Catholic with themes like the saints, prayers, and the Ten Commandments. We were so glad. It made for a lovely back-to-school start. Also, most of our children loved to color and there was no better way to generate excitement about doing school than to put the coloring books on top of their pile of Kindergarten books. Not every child loves to color. Truly. One of ours would rather have stacked the crayons like Lincoln Logs. Yet all our children loved listening to the stories that were in the coloring books or the stories I'd invent as I showed them the pictures. Our first coloring books are still keepsakes and are nice enough for older children to enjoy. If I were just beginning to homeschool I would buy so many more and keep them as collectibles for the children. For one thing the children appreciate the books more and more through the years. I can easily see me buying these for our grandchildren. Our favorites were the Holy Imitation series by Katherine Sotnik from Ignatius Press. She used lovely art that respects the fact you'll be using wide crayons to color the details. You will love the artwork in the Holy Name of Jesus, Eucharistic Adoration, and Mary Most Holy are just a few of them. Some of them have collections of pictures about Jesus and Mary and others tell about the lives of the saints. 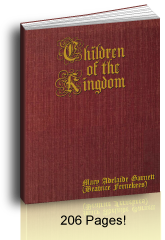 Other books teach about the sacraments, the Rosary, and the Stations of the Cross. 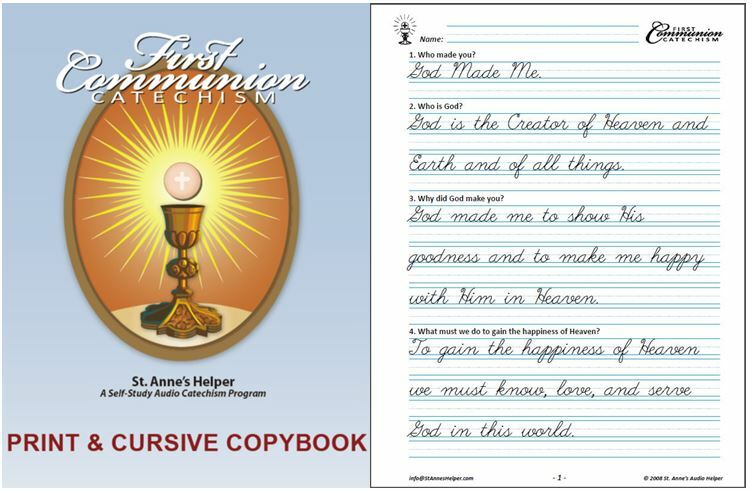 Other Catholic coloring books are published by TAN Books and Neumann Press. Their Christmas coloring book makes a wonderful Advent or Christmas gift. The Second Commandment is, "Thou shalt not take the name of the Lord thy God in vain." When you are teaching the Ten Commandments let your children know that the Holy Name of Jesus is not only beautiful and has great power with God; but it also honors the 2nd Commandment. It's also a good idea to teach them to say a quick prayer or a Hail Mary whenever they hear God's name dishonored. That consoles Jesus, but it also can convert the one who uses God's name in vain. Pretty neat! The 24 Catholic Songs coloring book and CD help teach your children the Ten Commandments and the Spiritual and Corporal Works of Mercy. They also teach other concepts and Bible stories like Daniel in the Lion's Den. 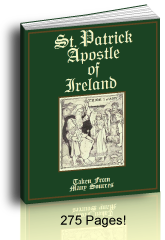 This set has the 24 Catholic Songs for Children CD and coloring book. The coloring book has the words to each of the songs in the back of the book. The Ten Commandments Song teaches about the Catholic Ten Commandments. There are other songs that teach about the Works of Mercy, the Catholic sacraments and even the Apostles' Creed prayer. 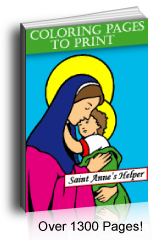 If you use a downloadable Catholic coloring book you'll be able to make copies for as many children as you have who want to color. When one of your children has botched a picture for a really special project, you can simply print another copy to replace the first. Keep the files handy for future years. Another benefit? You can buy them now and in a few minutes print them without waiting on coloring books to arrive in the mail. You will love these beautiful Catholic coloring books!